By Xah Lee. Date: 2002-02-28 . Last updated: 2018-12-26 . The lambda character λ, always struck a awe in me, as with other mathematical symbols. In my mind, i imagine that those obscure math symbolism are etched in stone by god. A salient example is the book cover Concrete Mathematics by Ronald Graham et al. These symbols are not to be trifled with. If anyone puffs in as much half a snicker, i wish god strikes a thunder upon their impudence. The Greek lambda symbol is used in a branch of logic called lambda calculus. 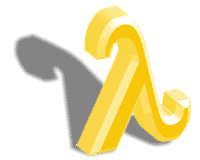 The theories of lambda calculus is what functional languages are based on, thus many functional language's logo features the lambda. Here is a collection of functional language's logos involving the lambda. schemers.org's logo has a modern look. It is a simple lambda inside a O figuration. Though, i was told this “O” is supposed to be a pair of parenthesis. PLT Scheme's first logo, ~1996, and Grateful Dead's logo 1976. 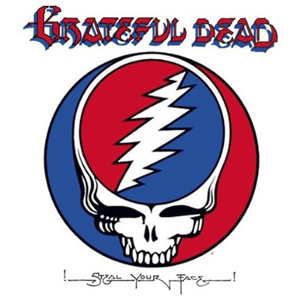 PLT Scheme's first logo was based on rock band Grateful Dead's album Steal Your Face design. The album is released in 1976. Cover was designed by Owsley Stanley and artist Bob Thomas, and was originally used as a logo to mark the band's equipment. PLT Scheme's logo, notable is the red/white/blue coloring scheme. MzScheme is the name of the actual compiler of PLT Scheme. Now named Racket. The logo features a lambda besides a Chinese character 文 (wén). The character means written language. PLT Scheme changed its name to Racket in 2010-06 . Home page: racket-lang.org. cl-http web badge. Quite lame and unprofessional. Haskell's new logo, inaugurated in 2003-05 . It is designed by Fritz Ruehr. Superb. It is made of 5 math symbols revolving around a big lambda. The symbols are: right arrow →, inverted A (for all) ∀, double right-pointing angle bracket ≫, double colon ∷, double right arrow ⇒, and lambda λ. The right arrow signifies transformation. The inverted A signifies for all. The double angle signifies free from disorder. The double colon signifies exactitude. The double right arrow signifies generality. Finally, the lambda λ signifies functionality. 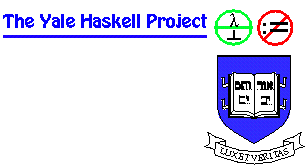 Haskell's new logo of 2009 . I love these lambda-featuring logos. However, i have a complaint. As most of you know, lisp languages are not purely functional languages. 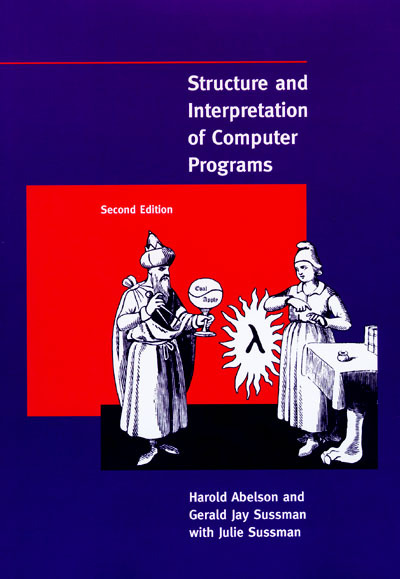 Subroutines in lisps easily have side-effects, and sometimes non-functional programing methodologies such as OOP are actually encouraged in lisp. As most of you know, the lambda symbol chosen by functional languages is to signify no side-effects. In this respect, i find the lisp languages not totally deserving the use of lambda in their logo. As i have expressed before, mathematical symbols are not to be trifled with, and the Schemers have tainted my mathematics, strictly speaking. Although i have this minor objection with lispers using the lambda symbol, but overall i think the lispers and i share a more important common goal. That is, to wipe out all imperative programing ignoramuses of the world. Once the unix and C and Perl and otherwise idiots are all dead, then i'll formally raise my objection about Lisper's unfit borrowing of the lambda symbol. PFP logo, by Martin Erwig. The PFP library for Haskell features a lambda disguised as a histogram. One of the most well-designed among lambda logos. (“A Probabilistic Functional Programming Library for Haskell” by Martin Erwig and Steve Kollmansberger, 2005. http://web.engr.oregonstate.edu/~erwig/pfp/). 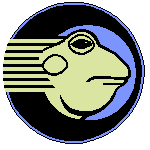 Logo for FC++ by Brian Dickens. 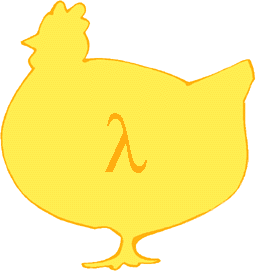 Chicken Scheme features a logo that is a lambda inside a hen silhouette. (by Felix L Winkelmann, at call-cc.org). This is getting silly and disrespectful. Chicken's new logos, by Moe Aboulkheir et al. Left as of 2007-03-30 , right as of 2009-06-30 . I prefer the original yellow hen logo. This new modern-looking logo lost its soul. You can't easily tell what bird it is, and the funky lambda takes some tech geeking to recognize. 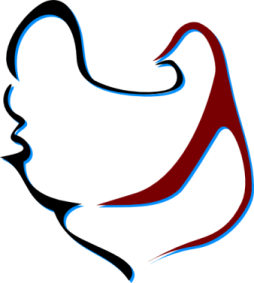 The original logo of the fat hen signifies birth, with lambda right in its tummy, and fits well with the project's comical name Chicken Scheme. This is a example where logo with elegant artwork is worse. 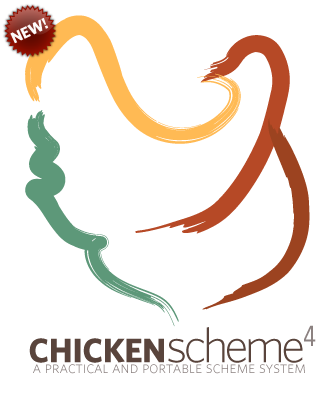 For some history of CHICKEN scheme's logo, see http://galinha.ucpel.tche.br:8080/logos. A Qi programming language logo designed by yours truely. For detail, see: Qi Language Logo. Logo of Clojure, a new Lisp lang in Java Virtual Machine. The logo is designed by Tom Hickey with input from Rich Hickey. Here's some collection of lisp logos that does not involve lambda. Classic twisty lisp. For different sizes and SVG format, see LISP Logo. CLforJava is a Common Lisp implementation on Java Virtual Machine. Home page: clforjava.org.